Rancho Cucamonga, CA- The Inland Empire 66ers of San Bernardino were trounced by the Rancho Cucamonga Quakes 16-2 on Saturday at LoanMart Field officially eliminating the 66ers from the playoff race. The Sixers last made the post-season in 2014. The Quakes unloaded for six runs in the first inning highlighted by Jared Walker's grand slam off Simon Mathews (4-7). 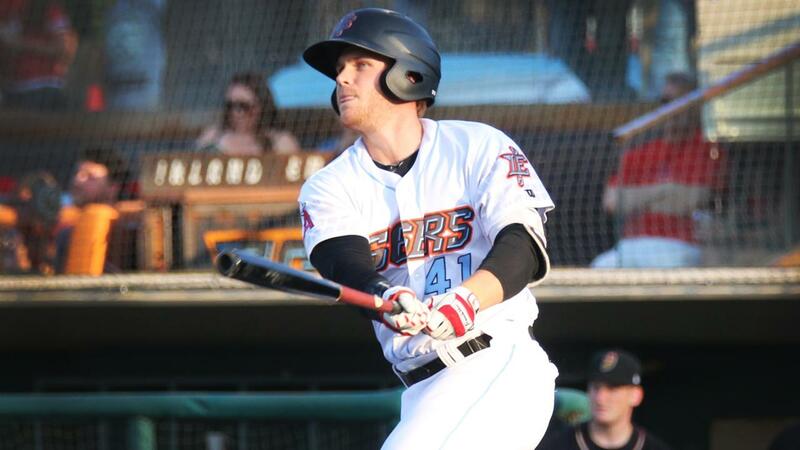 The 66ers (67-71, 34-34) got a run in the second on a RBI single from DJ Jenkins and another in the second on a RBI double from David MacKinnon making it 6-2. The Quakes however erupted for four in the third, five in the second and one more run in the fifth to build their 16-2 advantage. The 66ers matched a season worst by allowing 16 runs doing it last six days ago also against Rancho Cucamonga (85-53, 50-18). The 66ers set a season-worst allowing 12 walks. Reserve catcher Mario Sanjur did provide a bright spot for the Sixers as he allowed one hit but no runs or walks with two Ks over 1.2 IP in his professional pitching debut. Quakes centerfielder Jeren Kendall was left on deck in the bottom of the eighth and finished one shy of the league record for walks taken in a game as he completed his night 0-fo-0 with five walks. The series continues at Rancho Cucamonga on Sunday at 2:05 pm. The contest can be heard live on 66ers.com.